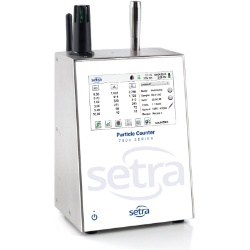 The Setra Systems AQM Series Remote Particle Counter and Environmental Monitor measures 0.3 μm to 25 μm particles with mass concentration and stores indoor air quality measurements of temperature, relative humidity, CO2, and TVOC. This instrument is the most versatile remote Air Monitor available, with advanced power management and the industry’s first sleep mode. The AQM Series can be used as a stand-alone instrument or it can be easily integrated into a building automation and facility monitoring system via Ethernet, USB or (optional) Wireless 802.11 b/g, RS485 or RS232 connection. 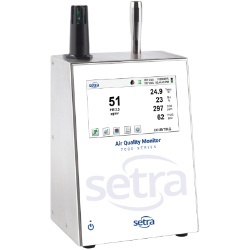 The AQM reports and displays 6 user-selectable particle size channels, as well as carbon dioxide (CO2), temperature, and relative humidity. 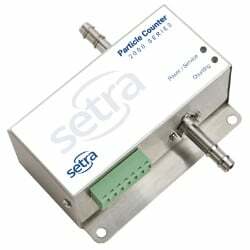 The model 5302-AQM includes a PID Sensor for TVOC. The instrument monitors PM1, PM 2.5, PM5, PM 10 & TPM (and any other PM size value the user specifies) with an easy-to-use Channel Management control panel. 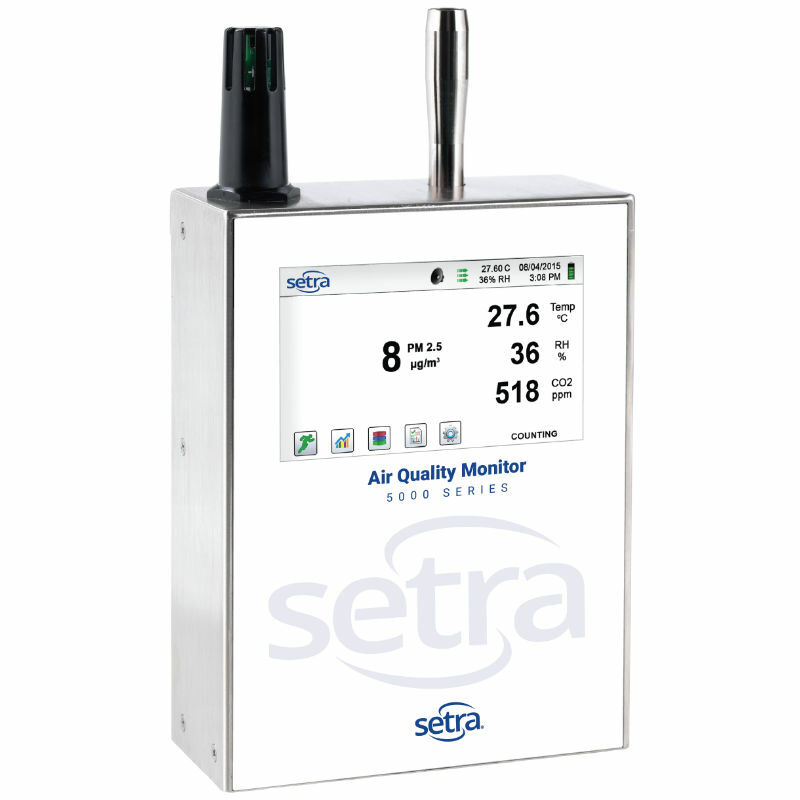 The instrument also monitors flow, sensor status, date of last calibration, serial number, laser on-time, and date of manufacture for easy maintenance and warranty management. The 5000 series AQMs store up to 45,000 time stamped particle count and environmental data records which provides data redundancy on every instrument. The AQMs mass concentration mode approximates density in μg/m³ and allows for density and refractive index corrections to ensure accuracy. All Setra Systems counters meet ISO 21501-4 and JIS B9921. The AQM series guarantees compliance and accuracy with an on-board pulse height analyzer.